Earlier this year, the Rev Dr Doug Gay proposed radical changes in the Church of Scotland. As a new book on these themes is published, he reflects on feedback to his suggestions. MY BOOK Reforming The Kirk has just reached the shelves, offering a fuller treatment of the themes I addressed in the Chalmers Lectures in February this year. I wrote the book with some trepidation, but my concerns have been offset by the many positive reactions to the lectures. I did not expect everyone to agree with me across the board and I was right about that, but reactions to the lectures showed there is an appetite for engaging with the issues. 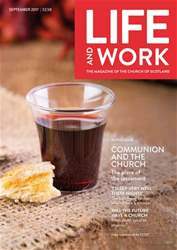 Elders, ministers, deacons and readers wrote to me from across Scotland, some saying they had discussed the lectures in session meetings and presbytery committees. People know we are facing huge challenges between now and 2030. Many people said they appreciated the tone of the lectures, which I was relieved about, but I have to say that a good deal of humility and restraint is brought on by the realisation of how difficult it is to reform an institution like the Kirk. Some people said ‘I agree with you 99%, but the institution won’t change’. Others said ‘even if it did change, we’ve left it too late’.